The N.C. Board of Transportation’s Road, Bridge and Ferry Naming Committee made the decision on Wednesday, according to Tim Haas, communications officer with Division 1 of the state Department of Transportation. The full Board of Transportation will vote on the recommendation at their next monthly meeting, March 7. 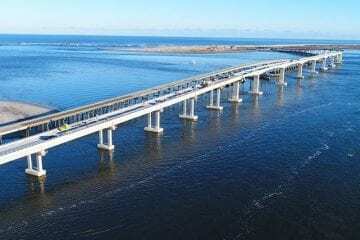 Basnight was the top choice in a Dare County survey, but the Board of Commissioners failed to vote unanimously Monday on naming the new bridge over Oregon Inlet in honor of the longtime state Senate leader. The Basnight proposal earned three of five votes from the Board of Commissioners. The state policy on naming a bridge, highway or ferry calls for a unanimous vote by the jurisdiction where it is located. Dare sent the resoltion to the naming committee anyway, along with an application and explanation of why Basnight deserved the honor, according to The Outer Banks Sentinel, and the panel approved it. People were invited vote in an online survey, and Basnight garnered 309, or about 48 percent of the total. Herbert C. Bonner, the name of the old bridge, was the choice of 266 people, with other names, including simply Oregon Inlet, receiving far fewer than either one. An unscientific reader survey by The Outer Banks Voice drew 3,290 votes. Basnight was the third choice. Oregon Inlet was the name most chosen, followed by Bonner. The Voice survey software allows only one vote per IP address. House said he favored the name Bonner-Basnight Bridge to recongnize the state’s past and modern history. Bonner was a U.S. congressman from 1940 to 1965. He worked to establish the Cape Hatteras National Seashore and played a key role in securing funding for the old bridge, which opened in 1963. A community day is set for Saturday, Feb. 9 from 10 a.m. to 4 p.m., and the public will be invited to walk or bicyle across the bridge. If I had known that the REAL survey was on the Dare County website, I would have voted there in addition to the media survey. Whos idea was it to trick the public into believing they had a voice by putting up a faux survey where the results would not be considered? The people spoke and it appears that the people are not being listened to. Well once again the elite few ignore the peoples wish and our votes to do as they please !!! Marc Basnight was not 1st or even 2nd but a distant 3rd !!! But what might have been the political circumstances for the state panel not using his name for the bridge we can only guess !!! Financial donations and endorsements being withheld ??? Well this is just proof of how much these politicians consider your votes and concerns which on a scale of zero to ten is a “ZERO” !!! Just remember this next election when they are giving speech’s of how they will be your voice in Goverment and your votes and concerns are their Nu. one priority !!! Naming the new bridge for Marc Basnight and naming Herbert Bonner fishing pier sounds good to me. Dare County has a population of 36,000 (googled it). I would say if only 600 or so people voted maybe Dare County didn’t get the word out or MAYBE Dare County really did not really want resident input. Well without a doubt the same people that handle the polls on this are the same ones that worked in the Broward County Fla. elections !!!! Not one word that the official polls were on Dare County web site !!! And the fact that only 600 out of 36,000 proves I wasnt the only one !!! The name of the bridge is now “The Crooked Brown Nosing Politicians Bridge” !!! And you didnt do Marc Basnight any favors by getting it named in this manner, because the people of the OBX and the State of NC will never forget what has been done here, and who did it !!! Politics in Dare is something special. It’s crazy the way this bridge naming is going down. I should be surprised but I’m not. I’ve lived here to long . Like 99% of the rest of Dare County, the only poll I know about regarding the Bonner / Oregon Inlet bridge is the one here on the Outer Banks Voice. What possible reason would anybody have for going on the Dare County website other than to find out when the garbage is being picked up during the holidays? Right. When I vote next time, I won’t think about housing, or health care, or climate change or taxation or education. I’m going to base my vote on what they named a bridge. 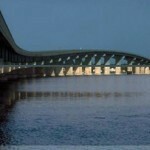 Call it what you want…it will always be the Bonner Bridge to me. It is my opinion the OB Voice made the waters murky by taking it upon themselves to do a survey. If you listen to the Commissioners meeting they clearly ask everyone to go on the County site and set up recommendations. By doing their own survey, the OB Voice created a false sense of engagement by its viewers. This false sense of engagement is evident by the amount of viewers saying the people have spoken and Commissioners did not listen. To the same point; I find it interesting in the latest article the OB Voice quotes Danny Couch as saying he has to go with his constituents, but fail to quote either Bob Woodard or Wally Overman as saying we asked the people to vote, and they spoke. They voted and we cannot go against their wishes just because we do not like the outcome. I do not believe the OB Voice intentionally made the waters murky, but I do believe they have realized they have done so. What they have said in subsequent articles and more importantly what they have not said makes it evident of the attempt to flame peoples is-guided fire. Murky — The difference is that the Voice survey drew more than 3,000 responses. We have consistently said it was not scientific, but our software allows only one vote from any IP address. So it would be pretty hard to stack the vote. Yes, we need to pay the bills, but you have to honestly ask who is really muddying the waters here. It’s not about the name. It’s about the process. Rob Morris – You have consistently said your survey was not scientific. Your survey also had far more participation than the Official survey. As a news organization you did your customers a disservice by not doing more to direct your customers to the official survey. If you would have, you would have truly given them the “voice” they thought they were expressing. We linked to it in our original story on the naming, but you are correct that we could have done more. Still, questioning our integrity and motives is a little excessive. The county survey might have been official, but it was not scientific either. We made an honest attempt to engage readers. That said, I’m sure most people will be content with the choice and the malcontents will forget about it by next week. I am not a full time resident of Dare Co, but am a native Tarheel and lifelong North Carolinian. How much stuff needs to have Marc Basnight’s name attached to it before Dare County is satisfied? There is already a street in Manteo named for him, among other things Basnight. To your point Mr Morris that “the malcontents will forget about it next week” therein lies the problem. There have been too many other great people worthy of this honor that have been forgotten. I do not know Mr Basnight personally, but surely there had to have been a more suitable choice. I guess I don’t have much of a dog in this fight since I don’t live in Dare, but it sure is interesting listening to everyone getting fired up about a name for a bridge. Perhaps the end of the article found the perfect one, though: “The Bonner Bridge Replacement Project”. One cannot help but feel that you knew exactly what you did !!! One sentence informing the public of the “Dare County web site” and that it would be the official voting site would have been the right thing to do !!! Telling us that OBX Voice votes was not scientific did and does not inform us that our votes were worthless !!! I say another vote be held, and not under these shady circumstances !!! It would seem to me that Dare county has until March 7th to hold another survey and should do so. That would be the fair and right thing to do Anyone from the state of N.C. should be able to vote. The tax money that built the bridge came from people from all over this state not just Dare county. You are absolutely correct Lee !!! Another vote should be held, and the official site be verified to the public !!! And like you stated all North Carolinians payed for the bridge and should have a voice in this matter !!! Heads up Rob its been over a week “And we still remember” and thanks again for insulting our intelligence !! !